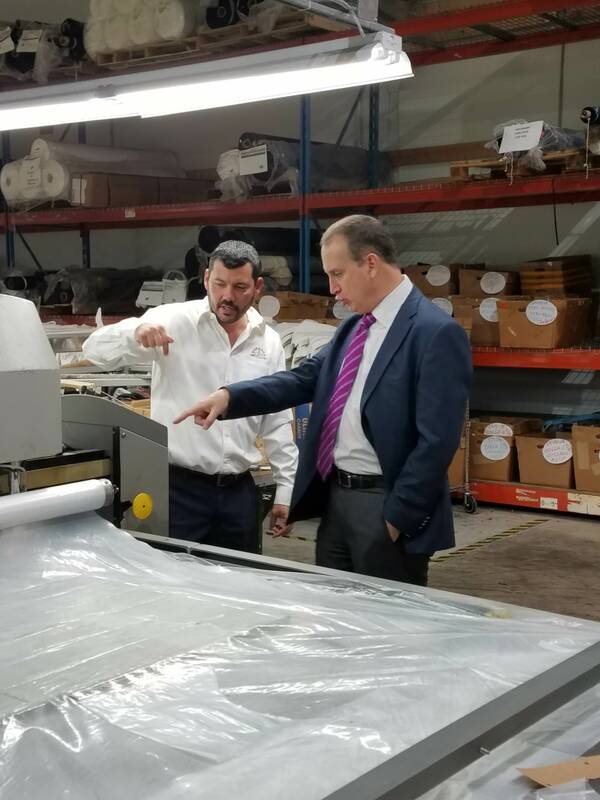 This past Tuesday, April 24th, 2018, Bernard Cap and its leadership team hosted Congressman Mario Díaz-Balart at our corporate headquarters and manufacturing facility in Miami, Florida. 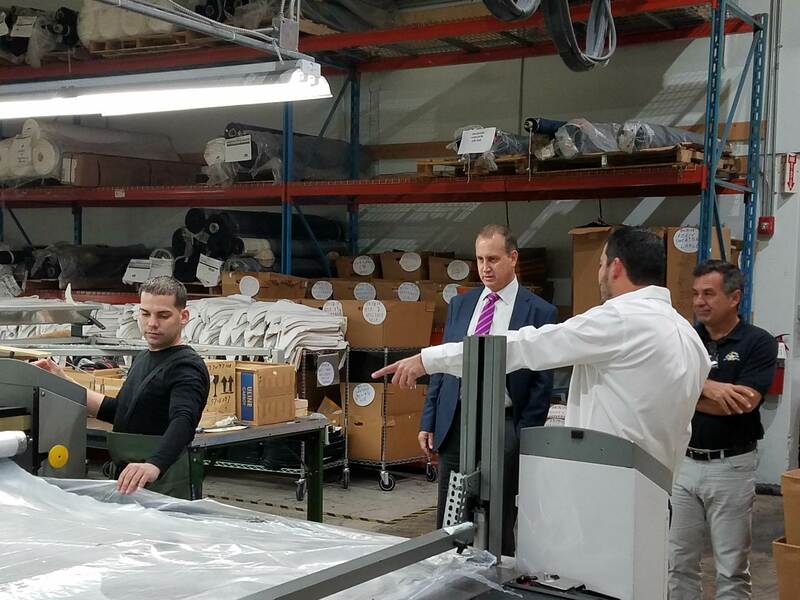 As a longtime supporter of our men and women in the armed forces, the Republican U.S. Representative for Florida’s 25th congressional district was eager to learn more about Bernard Cap’s role as a leading Berry Compliant manufacturer of uniform apparel and headwear for the Department of Defense (DoD) and the different branches of the United States military. Serving as a certified U.S. Government contractor and supplier of cut & sew products for over 40 years, there was a good amount to discuss insofar as our history, operations, and growth. 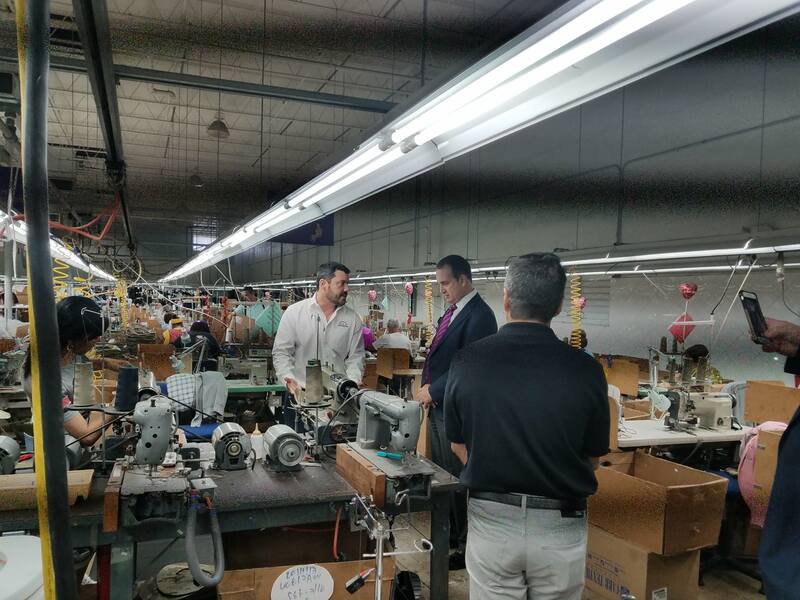 However, during those four decades, Bernard has remained based at the same location in Hialeah, Florida which is within the Congressman’s congressional district — so he expressed a very kind appreciation for our reputation, longevity, and impact within the industry and local community over the years. 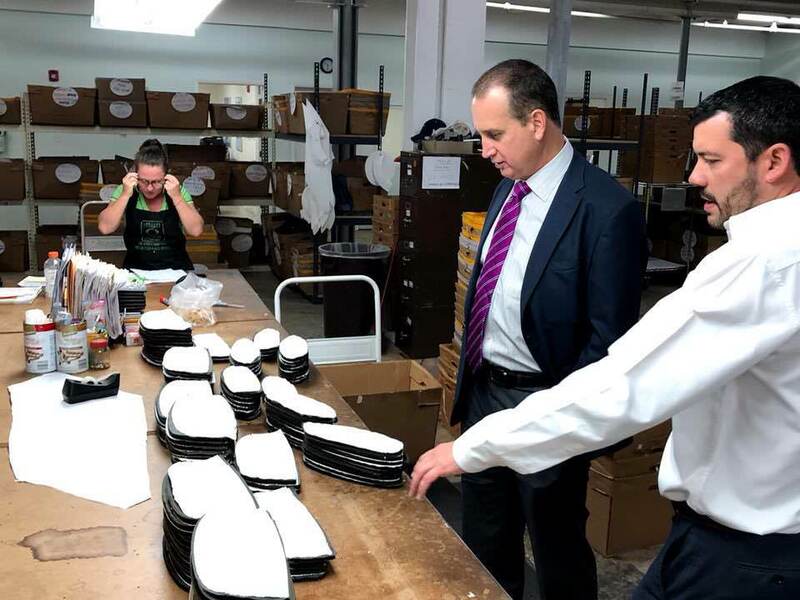 The visit included a full tour of the 60,000 square foot facility, which houses several departments dedicated to the contract design and fabrication of technical soft goods for both public and private sector customers spanning the globe. But, as emphasized on Tuesday, Bernard’s longstanding partnership with the U.S. Government and the DoD as a preferred supplier is certainly special to us and always remains a focus for the entire company and staff. 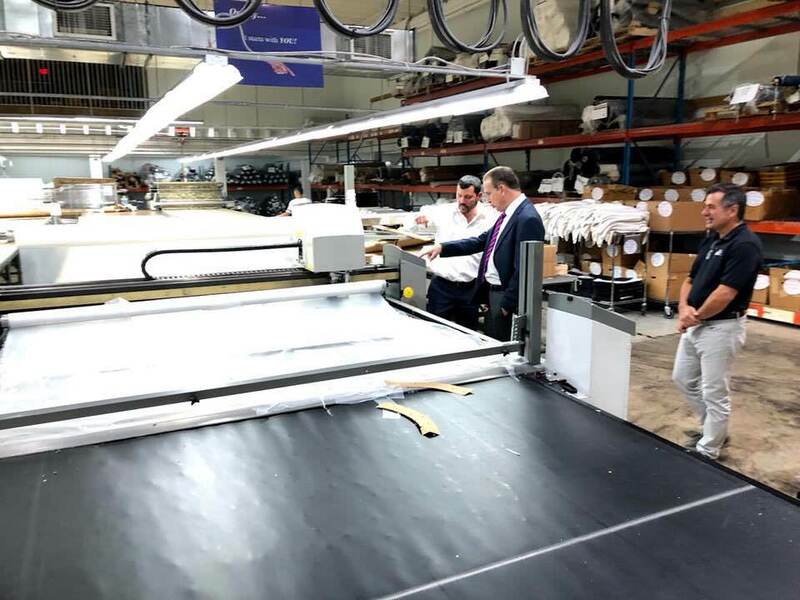 Among the reasons for the Congressman’s visit was the recently introduced Homeland Procurement Reform Act (HOPR), spearheaded by Scott Taylor, the Congressman from Virginia’s 2nd congressional district and former American Navy SEAL. The Act aims to insure that the Department of Homeland Security (U.S. Customs, U.S. Immigration, TSA, Coast Guard, and Secret Service) meet certain requirements for the procurement of various items including uniforms. Signaling a great opportunity for Made in U.S.A., Berry Compliant manufacturers such as Bernard Cap — the Congressman was gracious enough to explore how he could lend his support to us in continuing to not only provide high-quality American-made uniforms to our nation’s service members, but make sure that we facilitate the growth and availability of American manufacturing jobs locally. The Congressman had a keen interest in the process our team undergoes to bring each of our products from concept to mass production. But, as we always say and mentioned to him, the quality of products we put out are a product of our people — and the Congressman agreed. As we accompanied him through the entire production floor, distribution area, management office, and work stations — he was sure to engage each of our employees along the way. 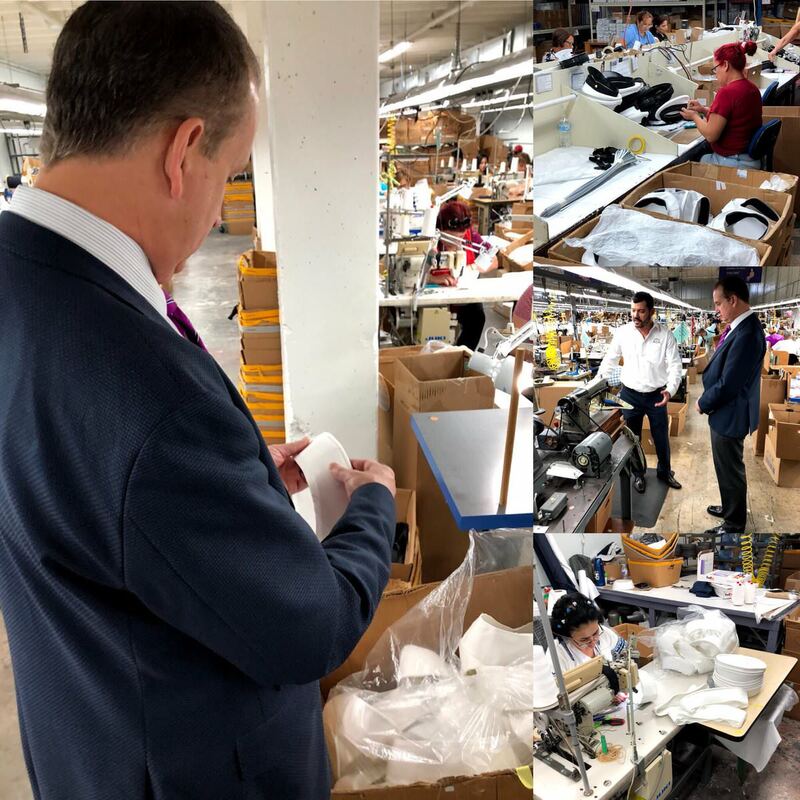 As much as he mentioned how impressed he was with our products and dedication to our craft, we were even more impressed with his candor, and insight on how growing our company and workforce family is the ultimate way to promote American vales and patriotism. You’re welcome back anytime, Congressman.